Jesse is a passionate trainer who has taught Scrum and numerous software development techniques across the globe. He currently teaches most of his public classes through Xebia Academy. Jesse is a Professional Scrum trainer with Scrum.org, he started his journey into scrum through the Professional Scrum Foundations and Developer class and has extended his curriculum to include Scrum Master, Product Owner and Scaling. 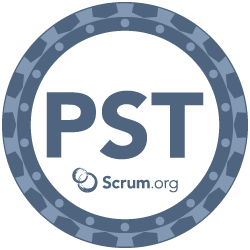 I've just spent 2 days in Scaled Professional Scrum training which was led by Jesse and it was awesome. Not only is Jesse incredibly skilled in understanding and teaching scrum but he has an understanding of people that is critical to success. His teaching style is fun, motivating and his ability to explain concepts and theory by drawing upon and talking of his previous experiences in ''how it was done well'' (or not) makes him a very credible agile coach, instructor and trainer. I would highly recommend Jesse if you're looking for a highly credible and experienced agile coach, consultant and/or trainer. Richard Abramson Scrum Master & Service Delivery Manager at T-Systems Nederland B.V. 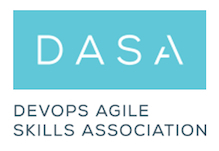 The DevOps Agile Skills Assessment Foundation helps organisations understand how Coninuous Delivery and Continuous Improvement will completely change the culture in your organisation by allowing early and frequent experimentation and short feedback cycles. It also explores how ITIL, Lean, DevOps, Scrum, Kanban and a whole range of other practices and processes can be combined to optimally support your organisation to deliver Value to your customers often and without error. Jesse is a licensed trainer for the DASA Fundamentals course.